Now I’ve hummed and hawed over this one, because even at sale time, Hobbs isn’t the cheapest shop out there. 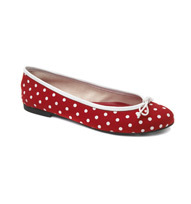 I’m on a terrific savings binge right now; I’ve bought just one pair of new shoes this year and look! I’m still standing. The idea that I would even venture into my nearest Hobbs is enough to make grab the sides of my streamlined bank statement and chortle with bitter-tinged mirth. So this entry is more of a window shop than a tip-off for yours truly, because the truth is: I’m a Hobbs shoeholic. Even now, the inclusion of the words “Hobbs”, “shoe” and “sale” in the same sentence sends my heart a-fluttering. For the uninitiated: Hobbs is a fairly upmarket chain of clothing shops in the UK. The clothes are so-so: there are lots of conservatively-tailored skirts and dresses with matching jackets, targeted at women executives and people who go to posh weddings. They are of a very good quality. I’m very particular about footwear (an after-effect of working on a fashion magazine, I suppose) and I can spot cheap, nasty clod-hoppers from a mile off. Hobbs shoes are cut from good, thick leather and are properly stitched. They last for a long, long time. The heels are comfortable. They look expensive. They come in half sizes. At sale time they are halved in price! Hobbs tends to keep the same shoes in stock throughout the season; in my experience, any pairs ogled are likely to end up on the sale rack. 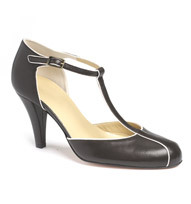 For some reason – I don’t know why, but I love it all the same – Hobbs shoes have a retro flavour to them. Think: 1930s, 1940s and 1950s. I’m obsessed with vintage fashion, but the vintage shoes are a sore point for me: damn it, people back then had such small feet! Every season, without fail, Hobbs comes up with pretty retro goodies; I’ve got cone heels, Mary Jane buckles and patent crimsons in my closet. I like the Hobbs website too: you can zoom in on every single shoe to check the quality of the detailing. I’m also having crushes on the Halle Strap Sandal , which is a lemon patent wedge heel with a white leather sole (reduced from £119.00 to £39.00), and the Amelie Ballerina pump (reduced from £65.00 to £20.00). If you are planning to buy a new pair of shoes in the summer sales, I’d recommend a visit. Most of them come with free delivery.